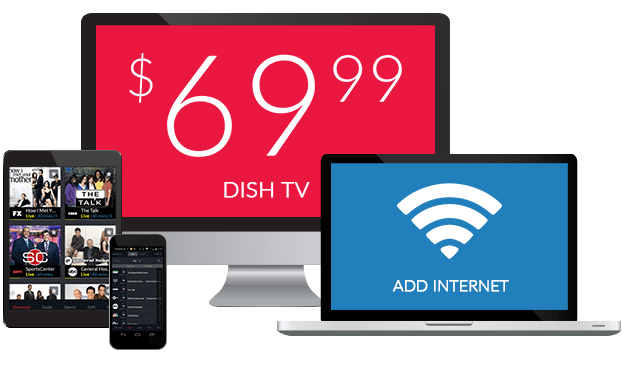 Chinese TV Channels From DISH – $14.99/mo. Do you want to watch Mandarin favorites from your home in the USA, without buffering feeds or questionable downloads? DISH delivers crystal-clear Chinese TV channels directly to your living room that your whole family will love! Enjoy the best news, entertainment and kids’ channels from across China with the all-encompassing Great Wall TV Package. Or, add on channels from TVB8 and Phoenix. The Great Wall TV Pack includes dozens of the best Mandarin channels broadcast from all over China. There are films on the China Movie Channel, and dramas from Jiangsu International Channel, Chongquing Television and CCTV Entertainment. Help your family learn more about China on Beijing TV and China Yellow River TV. There’s also a plethora of Chinese news channels, including CCTV 4, Dragon TV, Phoenix InfoNews and more. The Mandarin Elite Pack includes a variety of Chinese TV channels, including news on CCTV 4 and Phoenix InfoNews. There’s also family entertainment on Hunan Satellite TV and Phoenix North America. This lineup of Mandarin channels can be paired with the Chinese Basic Package for a monthly bill starting at just $34.99 per month, with a 2 year price guarantee! The best dramas and serials are available on TVB Drama. Celebrity news, weather and music are all broadcast on TVB8. Together, these channels offer Mandarin entertainment you’re sure to love in one convenient add on pack from DISH. Add the TVB8/Drama Pack to a qualifying international programming subscription for just $5 per month. Phoenix Satellite Television broadcasts around the world to Chinese families. The Phoenix Pack from DISH delivers both Phoenix InfoNews and Phoenix North America Chinese Channel to your home in the USA. Watch news and entertainment in Mandarin for just $5 per month by adding this pack to your qualifying international programming subscription. Entertain the youngest members of your family with the Mandarin Family Pack. This package offers BabyTV Mandarin (a DISH exclusive) and Yoyo TV for educational programming designed for toddlers, preschoolers and elementary school aged children, all in Mandarin. The Mandarin Family Pack is just $5 per month when you add it to a subscription to qualifying international programming. Personalize your Chinese TV package with extra channels from around the world, including Willow Cricket HD, NDTV 24*7, France 24 and more. Enjoy more news, sports and global entertainment at a budget-friendly price with these add-on packs, designed with international families in mind. You can pair your Chinese channels with any base TV package, including the Chinese Basic Package, a TV plan created with East Asian families in mind. 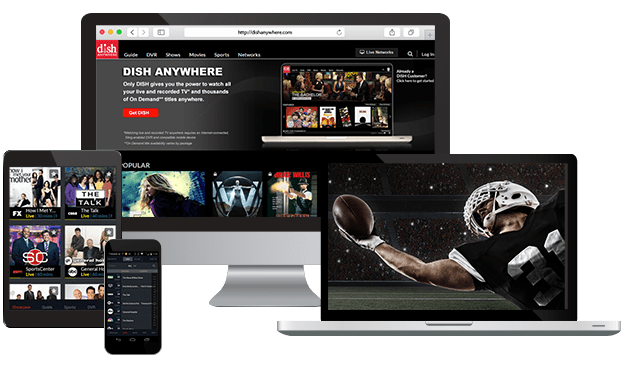 Or, subscribe to English-language favorites, like AMC, USA, MTV and more, with an America’s Top package. 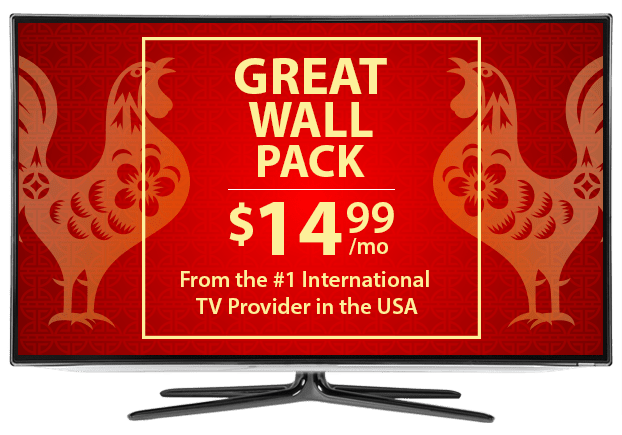 Start watching tons of Chinese channels for as little as $29.99 per month with a 2 year price lock when you pair the Chinese Basic Package with the Great Wall Package.